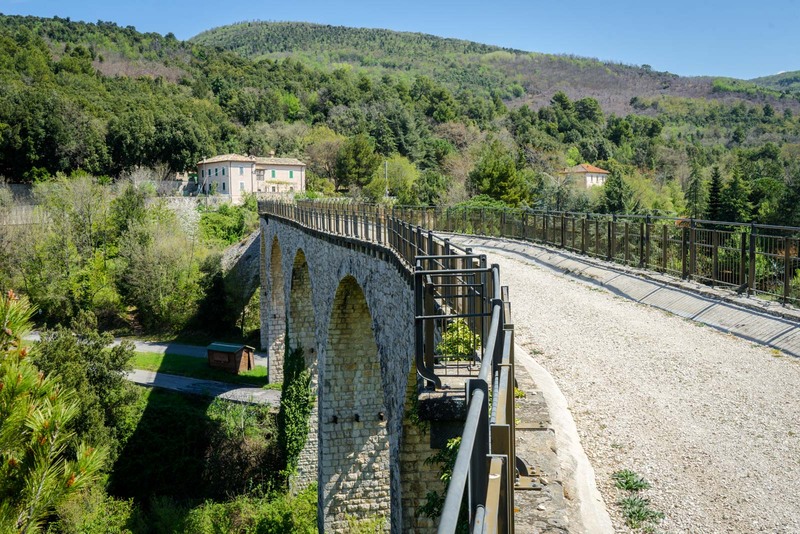 When the railway between Spoleto and Norcia opened in 1926, it was an engineering masterpiece. 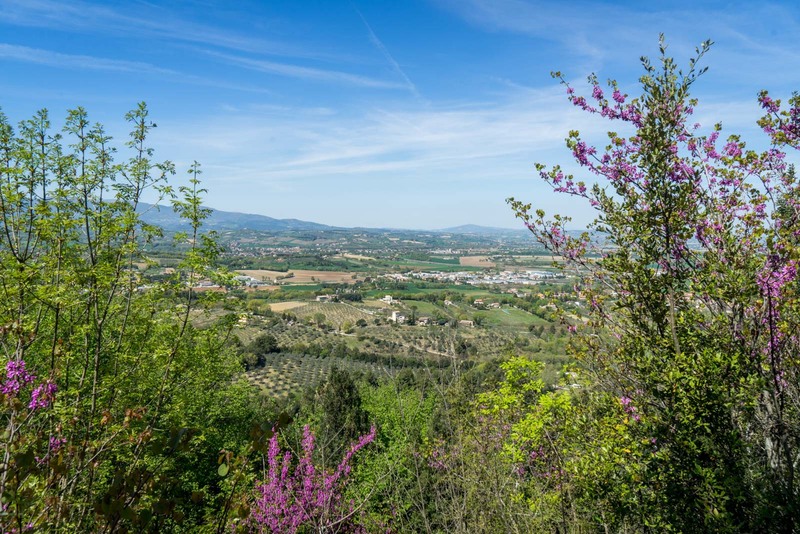 To get the trains between the two towns in this mountainous region of Umbria, more construction than usual had to happen. Other than the tracks themselves, there were 377 additions along the 50 kilometre stretch, including tunnels and bridges. For decades the trains ran between the two towns. Rattling and screeching their way through forests and over ravines, they were a loud and proud sign of progress. 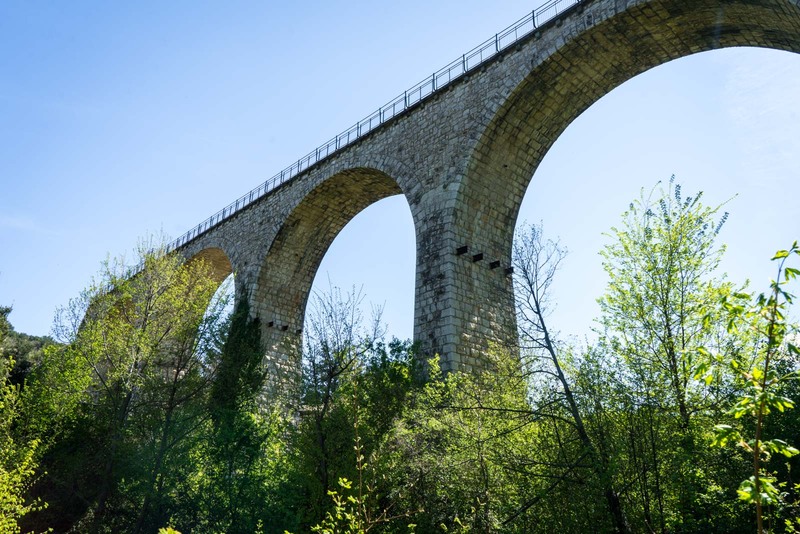 It had taken 13 years to build this railway – during a time when electricity was replacing steam – and it was going to be put to good use. Today, though, as I approach the spot where the trains would have left Spoleto, there’s hardly any sign of this masterpiece. The metal tracks have all been torn up, the wooden sleepers gone, all is quiet. The railway stopped being used in 1968, just 42 years after it had opened. But there is something left – the path that the trains would have travelled and all the bridges and tunnels that were built to enable that journey. Decades after this line fell into disuse, it has just recently been restored and turned into an incredible track for walkers and cyclists. 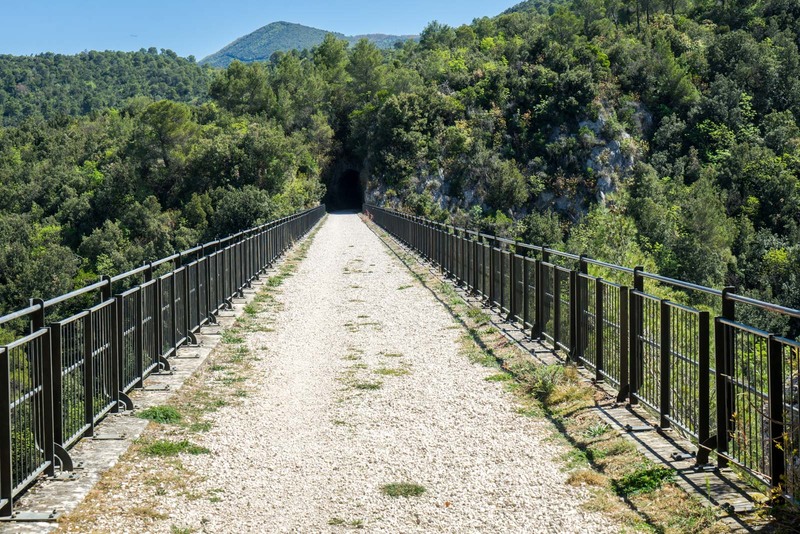 Although something like the High Line in New York (the walking path on an old railroad spur) gets a lot of attention, it is relatively common in Europe for countries to turn their own railways into cycling and hiking paths. 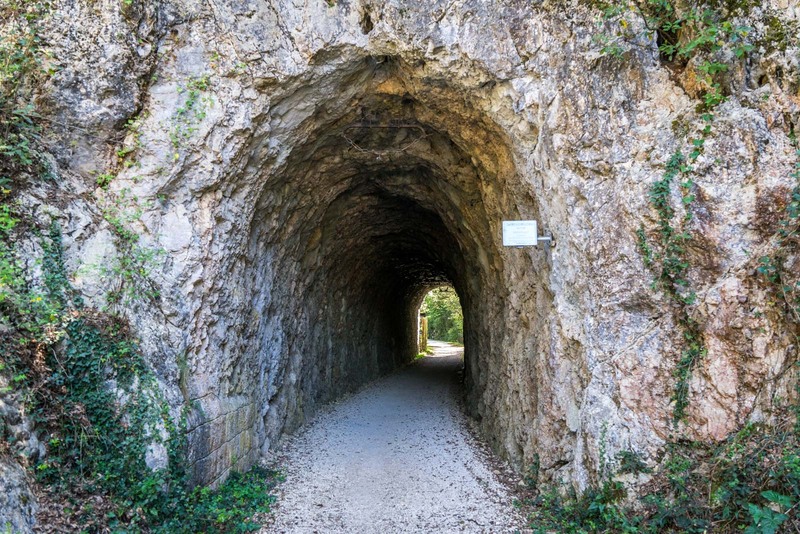 What makes the Spoleto – Norcia Railway so special are the quirks of this steep terrain. 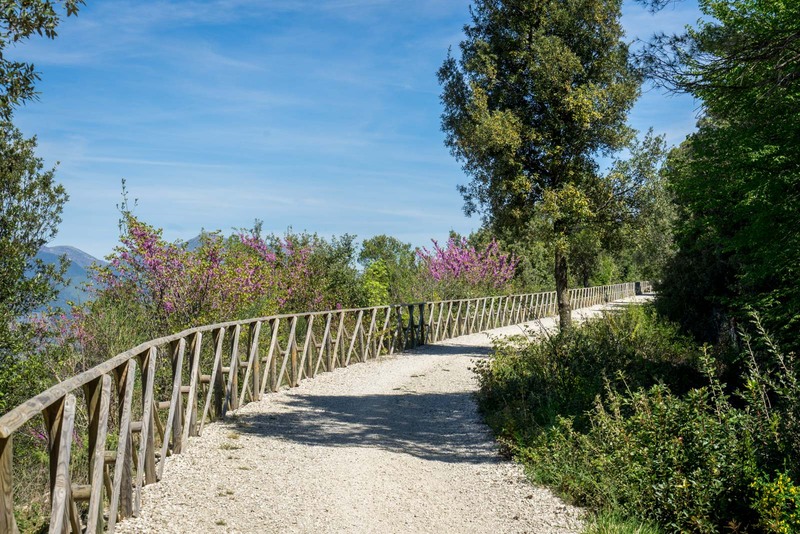 I walk along the path away from Spoleto, towards Norcia. Tall dense green trees line either side of the track and I can still imagine a train rushing down here, almost swiping the sides of the them. A splash of pink flowers hangs over me at one point as I walk underneath stretched out branches. It’s not long until I hit a small tunnel cut by hand into a rock. I can’t see what’s at the other end as I start into it but as I turn the corner there’s a flash of sunlight again and I can see a bridge stretching out over a ravine. At the other side of the bridge is another tunnel. 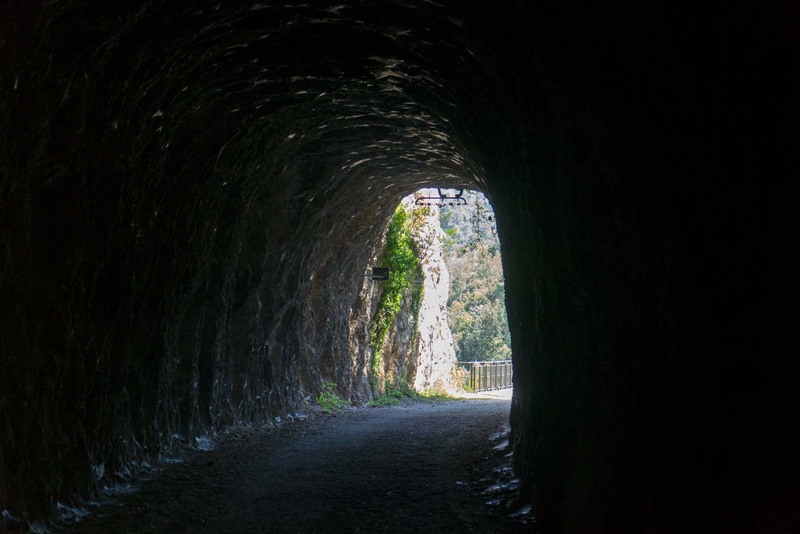 Across the whole length of the old railway line, there are 19 tunnels and 24 bridges. I love coming across one of them and walking through or over. It’s a regular reminder of why this track exists and the history that surrounds it. 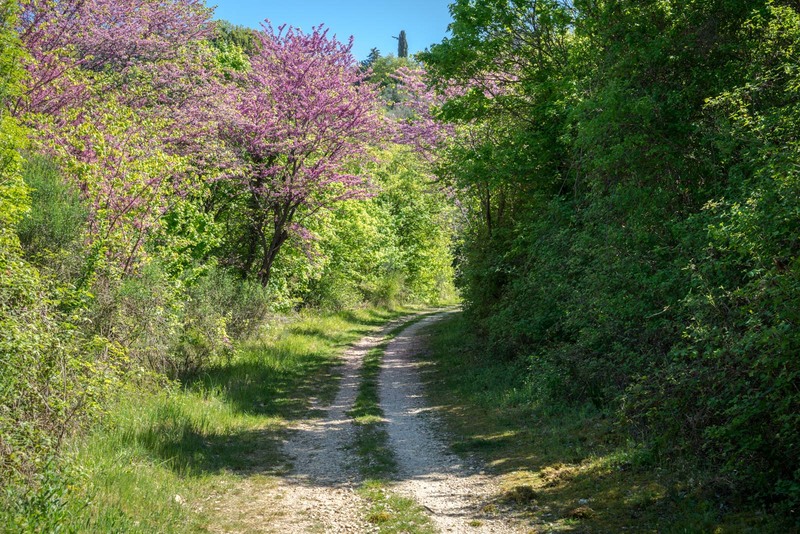 The path continues and for much of the next section stays close to the side of a mountain, offering views out across the Umbrian landscape below. The forest surrounds me. At one point I come across an abandoned building. I think it is probably the house for a signalman, not a station. There were once nine stations along the entire 50 kilometre stretch, but this doesn’t look large enough. Soon enough, I hit one of the most interesting parts of the old track – a ‘helicoidal section’. This is a technique that the engineers borrowed from the Swiss and it allows a train to get up a steep slope by doing a large loop around – ending up at the same position but tens of metres higher. I go around the loop – at a gradient of no more than 5 degrees – for hundreds of metres until I end up above the track where I had started. Below I can see the path and in front of me is an enormous bridge across a valley. At the other side of the bridge, I find a building that was clearly once a station. It’s at this point that I decide to turn around. Not because I don’t want to continue – I would actually love to – but there are some sections ahead that are temporarily closed and I don’t want to get stuck in the middle of nowhere. As I’ve mentioned, the whole track is about 50 kilometres long. You could cycle it in one day but you would need two days to walk it. There are only a few places to stay along the way. 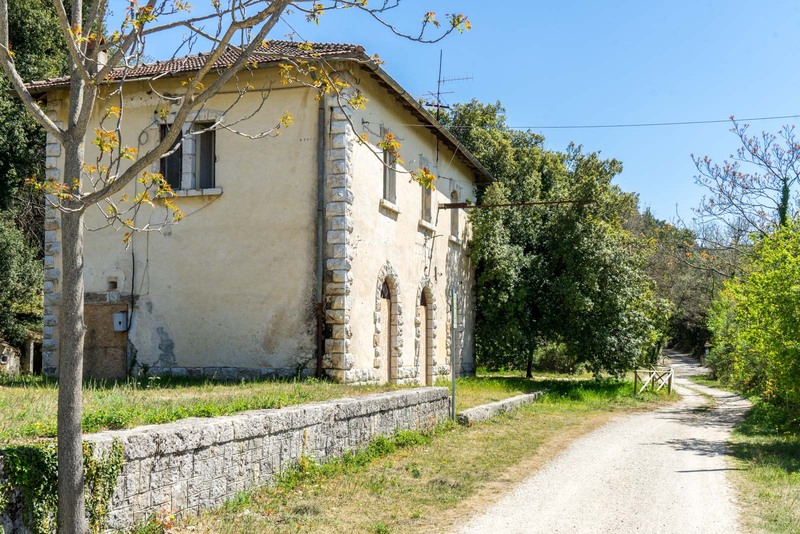 I would suggest stopping in Cerreto di Spoleto, which is about halfway. 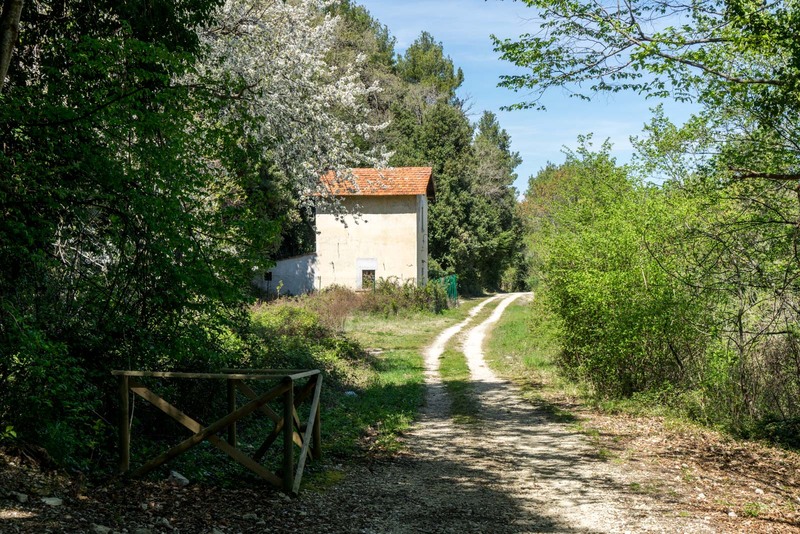 The other option is to stay at Vallo di Nera and make the second day a bit longer. If you are interested in walking or cycling for yourself, you can see the full route here. If you click in the map above to open this in your maps app on your phone, you’ll be able to follow along with your GPS to see how far you’ve gone. Having said that, the path is extremely obvious and once you’re on the track there’s no chance you will get lost. Some sections have been closed recently while safety assessments are done because of possible earthquakes. I would suggest you check the latest information on closures in advance, which you can do at this website. I love the views along the way. And the feats of engineering that take me through mountains and over valleys are impressive. But do you know what I realise I notice the most by the end? It’s the silence. A path created for trains to chug through with all their engines and mechanics has now become serene. You can walk through it, jog along it, cycle the whole way. And you can do it with the sounds of nature all around you the whole time. 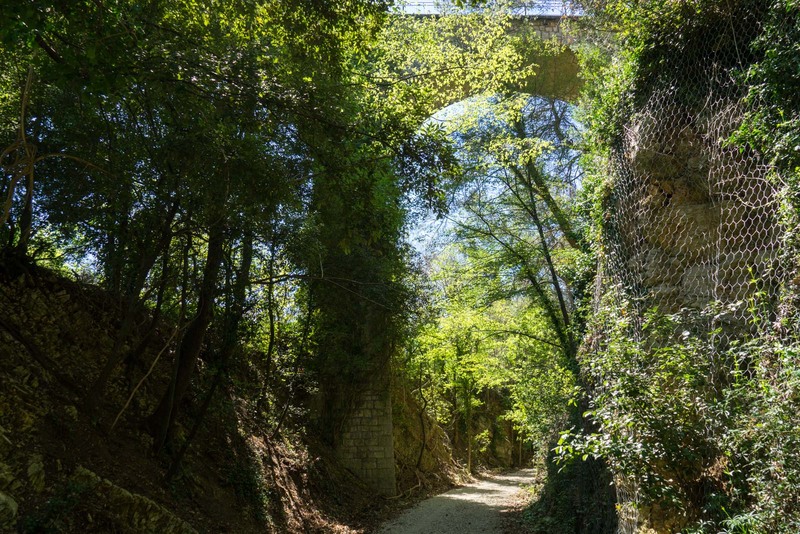 The Umbrian forests are back on track.